You like to keep it simple (unlike Woz)—just a 13” Macbook, and maybe a couple of other things, like a charger, phone, and wallet. 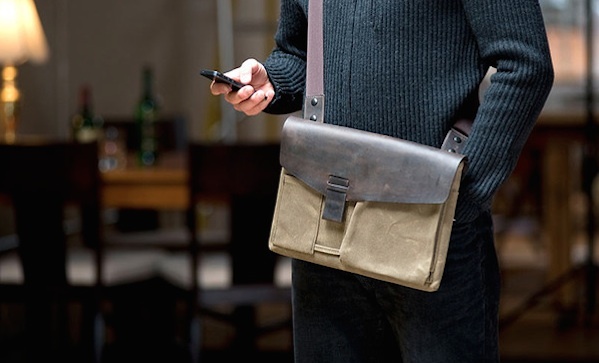 In that case, check out the slim solo bag from Waterfield ($109). Made of waxed canvas, a leather flap, and a neoprene interior, it’s simple enough for the bare essentials.